George Conrad Hannan, unrelenting anti-communist and social conservative, had a ‘snakes and ladders’ career in politics from 1948 until his final defeat as a National Liberal Senate candidate in 1974. Hannan was born on 10 September 1910 at Wagga Wagga, New South Wales. He was the elder of the two sons of James Francis Hannan, a storekeeper, and his wife Theresa Caroline, née Reis. James Hannan had stood as an unsuccessful Lang Labor candidate for the seat of Albury in the New South Wales Parliament in 1927. George was educated at St Patrick’s College, Goulburn, and from 1929 to 1933 at Newman College, University of Melbourne. In 1933 he completed an articled clerkship. In May 1934 he was admitted to practise as a barrister and solicitor in the Supreme Court of Victoria. On 26 February 1938, at St Joseph’s Catholic Church in Malvern, George married Eileen Frances Williams. The couple would have four children. On 18 April 1942 Hannan was mobilised as a sub-lieutenant in the Royal Australian Naval Volunteer Reserve. Promoted lieutenant in August, he spent most of his service as a radar officer at the Victorian naval base, HMAS Cerberus. Discharged on 22 February 1946, his interest in defence matters, radio technicalities and, later, television was stimulated by his naval service. Hannan was a handsome man, just over 5 foot 8 inches (173 centimetres) tall, with fair hair and blue eyes. After leaving the navy, he resumed his legal career and became active in Liberal Party politics. A radio commentator for the Liberals on radio station 3XY, he was a life member of the Wireless Institute of Australia and an active member of Actors Equity. For over a decade, he was on the executive of the Victorian Liberal Party (known as the Liberal and Country Party between 1949 and 1965), and was a committee member of the East Malvern and Glen Iris branches. In 1948 he contested, and lost, a by-election for the seat of Melbourne in the Victorian Legislative Council; he tried for East Yarra in 1952, again losing. In 1949 he had contested the federal seat of Maribyrnong against the sitting Labor member, A. S. Drakeford, but could only manage 34.08 per cent of the vote. Hannan nominated for Liberal preselection for the Senate in 1955, but was unsuccessful. Nevertheless, when John Spicer was appointed first Chief Judge of the Commonwealth Industrial Court on 15 August 1956, Hannan beat Magnus Cormack for the ensuing casual vacancy, to which he was appointed on 28 August, filling the position, under the old section 15 of the Constitution, until the next general election in 1958. Hannan was one of a small but gradually increasing number of Catholics who came to prominence in the Liberal Party during these years. On 22 November 1958 Hannan was elected to the Senate to serve out the remainder of Spicer’s vacancy, but was defeated at the Senate election of December 1964. In 1965 he tried unsuccessfully for preselection for the federal seat of Deakin. In November 1967 he was again a candidate for the Senate, and again unsuccessful. Not one to give up easily, Hannan was elected in sixth place in the Senate poll of November 1970. His victory entitled him, not to a periodical vacancy, but to the casual vacancy, vice S. H. Cohen, which had been filled until the election following Cohen’s death by W. W. Brown. During his time in the Senate Hannan was a significant contributor to debate on a wide range of subjects. From 1959 onwards, he repeatedly called for a revival of the Australian film industry through government loans and support. Though suspicious of the ABC, and convinced that its programs were biased and unfair, Hannan was critical of the American fare offered on the commercial networks, and supported a substantial Australian content quota for local television. It was Hannan ‘who provided the original drive and determination’ in 1962 to set up the Senate’s Select Committee on the Encouragement of Australian Productions for Television. 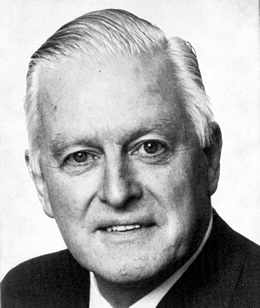 Hannan served on the Australian Broadcasting Control Board from 1968 until October 1970, between his Senate terms, though one cynical observer considered he may have been given the position in order to silence him. If so, the ploy did not succeed. Hannan also consistently advocated the rapid development of FM radio stations and, as a member of the Standing Committee on Education, Science and the Arts in 1974, he supported the Labor Government’s decision to introduce FM radio. On foreign policy issues, Hannan remained consistent. He had expressed strong support for the Suez adventure, trade with Japan and the regime of Diem in South Vietnam, and condemned Russia’s intervention in Hungary. He was always opposed to trade with the People’s Republic of China, refused to recognise the significance of the Sino–Soviet split and believed, as late as 1971, that ‘Vietnamisation’ was a success. We were, he implied, well on the way to victory. In September 1973 Hannan successfully carried a motion stating that there was evidence supporting allegations made by Aleksandr Solzhenitsyn and Andrei Sakharov concerning human rights abuses in the USSR. Hannan referred to the practice of placing political dissidents in psychiatric institutions and treating them with drugs. Unusually, he received bipartisan support, notably from Senators McClelland and Milliner. Hannan never wavered from support for Chiang Kai-shek’s regime in Taiwan as the legitimate government of China, for John Foster Dulles’ Cold War stances, or for the domino theory. He stated that ‘the red régime in Peking is an outlaw’ and that it was ‘the enemy of Asia, the enemy of the world, the enemy of man, and the enemy of the God to whom we pray here every day’. But the United States alliance was, he declared, with the ANZUS treaty, ‘the most valuable piece of paper in the Commonwealth’. No item of legislation affected Hannan as deeply as the Matrimonial Causes Bill of 1959, introduced by the Attorney-General, Garfield Barwick, in the House of Representatives and piloted skilfully through the Senate by John Gorton. The legislation, which sought to establish uniform divorce laws in place of various state provisions, provided for either party of a marriage to sue for divorce after a separation of five years and emphasised reconciliation. Hannan opposed no fault divorce and fought the most vigorous fight of his Senate life over this matter. He argued that allowing a divorce to be obtained without the permission of the injured party was a denial of justice, and was likely to lead to an increase in divorces in the future. He concluded that ‘the evil principles [the bill] embodies far outweigh the good ones’. His attempts to amend the bill were unsuccessful. In 1961 his proposed amendment to the Marriage Bill, inserting a definition of marriage as ‘the voluntary union of one man with one woman for life to the exclusion of all others’, was defeated on a conscience vote. There were other issues on which he felt strongly, perhaps the most notable being his 1972 Prohibition of the Little Red School Book Bill, in which he sought to have the Little Red Schoolbook banned in the Australian Capital Territory and Northern Territory. After Hannan’s second reading speech, the bill was not debated again. In 1973 he asked why the Australian Film Development Corporation (whose establishment he had encouraged) had provided $250 000 towards the making of The Adventures of Barry McKenzie, which he described as ‘ghastly’ and ‘vulgar’. Hannan was dismayed by the political trends of the early 1970s. Prime Minister Gorton’s Australian social agenda, the course of the Vietnam War, the election of the Whitlam Labor Government in 1972 and its re-election in May 1974 all signified to Hannan that the ideological goalposts had shifted to the left. Believing that he was in an intolerable political position, and concerned also by the prospect of Liberal affiliation with the Australia Party, with whose defence and foreign policies he disagreed, Hannan announced his resignation from the Liberal Party on 20 March 1974. Forming a breakaway group, the National Liberal Party, he launched his abortive campaign at the Melbourne Town Hall on 31 March. Prominent Liberals who attended included Senator Dame Ivy Wedgwood. Hannan believed that Liberal ‘trendies’ in Victoria, led by the state president, Peter Hardie, and secretary, Leo Hawkins, had endorsed the ‘left-Liberal’ Alan Missen for the Senate ticket. He declared that there was nothing wrong with the Liberal Party that ‘an intelligent purposeful revival would not cure’. In the event, the May 1974 election was not only a disaster for the National Liberal Party, which polled only 1.3 per cent of the Victorian Senate vote, but for the Democratic Labor Party as well, which was wiped out in the Senate. In 1974 Hannan published an essay on the perceived iniquities of the foreign policy of the Whitlam Government, such as ‘rudeness to traditional friends and allies and servility to communist and Third World nations’. He castigated the Government members who opposed the resumption of the American bombing of Hanoi. He considered Whitlam had mishandled the recognition of the People’s Republic of China, and that Taiwan had been abandoned by the ALP. He gave ANZUS his unequivocal support, and believed that the Labor Government had a policy of ‘inverted racism’ in its support for black independence movements in South Africa and Rhodesia while it carried on ‘the most ferocious persecution of Australian Croatians’, who loathed the tyranny of communism. He referred to the Government’s failure to stand against the restrictions of civil rights in countries behind the Iron Curtain, while he spoke of what he considered to be the ideological shackles imposed on Australia by the left wing of the ALP. Following the 1974 electoral failure of his National Liberal Party, Hannan rejoined the Liberal Party. As a member of Malvern East branch, he was a constant advocate of increased investment in water infrastructure. An active member of the Melbourne 8mm Movie Club, he continued to practise law. He was a lifelong supporter of Sacré Coeur girls’ school in his home suburb of Glen Iris. Almost up until his death at the age of ninety-eight on 1 May 2009, Hannan remained a man of ‘many and varied interests’. He was buried at Burwood Cemetery following a funeral mass held at the Carmelite Monastery Chapel, Kew. Interviewed in 1984, Hannan accepted that some of his beliefs ‘might now be regarded as old-fashioned’, but he considered them to be ‘fundamental’. A monarchist, he esteemed ‘the old conservative values’ of Sir Robert Menzies, regarding ‘small l’ liberalism with distaste. Hannan believed that ‘most of the really beneficial social legislation’ in Australia had originated from what he preferred to call ‘conservative’ governments: ‘I don’t regard being a conservative as a bad thing’. Despite his concern over the decline of the social values that mattered to him, exemplified by ‘the increased secularisation of the nation’, he remained, he said, ‘an incorrigible optimist’. George Conrad Hannan, Transcript of oral history interview with Tony Hannan, 1984, POHP, TRC 4900/33, NLA, pp. 1:1–4, 1:7, 1:17, 1:29; The editor acknowledges the assistance of Sean Burke, Deputy Rector, Newman College, and of Lisa Merrifield, Prothonotary’s Office, Supreme Court of Victoria; ALJ, 15 May 1934, p. 32. Hannan, George Conrad—Defence Service Record, A6769, NAA; Hannan, Transcript, pp. 2:7–10, 2:12–13, 3:6; The editor acknowledges the assistance of Margaret Williams, Wireless Institute of Australia, Melbourne; SMH, 21 Mar. 1974, p. 3; Peter Aimer, Politics, Power and Persuasion: The Liberals in Victoria, James Bennett, East Hawthorn, Vic., 1974, p. 141. Herald (Melb. ), 28 Aug. 1956, p. 5; Age (Melb. ), 29 Aug. 1956, p. 3; Ian Hancock, National and Permanent? The Federal Organisation of the Liberal Party of Australia, 1944–1965, MUP, Carlton South, Vic., 2000, pp. 41–2, 117; Aimer, Politics, Power and Persuasion, p. 131; CPD, 25 Aug. 1959, pp. 250–1, 30 Aug. 1972, p. 551, 13 Aug. 1959, p. 81, 7 Mar. 1972, p. 496; Nation (Syd. ), 14 Sept. 1968, p. 5; CPD, 29 Nov. 1962, pp. 1633–8, 1649–50; Australian Broadcasting Control Board, Annual reports, 1969, 1971; CPD, 20 Oct. 1960, p. 1223, 23 Aug. 1962, p. 456, 8 Apr. 1974, pp. 713, 715–17. CPD, 12 Sept. 1956, p. 258, 19 Mar. 1957, p. 12, 28 Aug. 1957, pp. 68–70, 16 Oct. 1957, pp. 625–6, 6 Mar. 1973, p. 143, 7 Apr. 1965, pp. 349–50, 7 Apr. 1971, p. 853, 20 Sept. 1973, pp. 778–83, 27 Sept. 1973, pp. 1024–6, 1034–5, 30 Sept. 1959, pp. 913–17, 2 May 1973, p. 1228. CPD, 14 May 1959 (R), pp. 2222–38; CPD, 24 Nov. 1959, pp. 1764–73, 26 Nov. 1959, pp. 1932–4, 1937–8, 1945–6, 27 Nov. 1959, pp. 1964–9, 1991, 18 Apr. 1961, pp. 549, 555. CPD, 31 May 1972, pp. 2348–51; Hannan, Transcript, p. 2:28; CPD, 14 Mar. 1973, p. 403, 20 Mar. 1974, pp. 427–8; Age (Melb. ), 1 Apr. 1974, p. 3, 21 Mar. 1974, p. 9. George Hannan, ‘Whitlam’s Foreign Policy Myth’, in Les Shaw (ed. ), The Shape of the Labor Regime, Harp Books, Canberra, 1974, pp. 34–43; Hannan, Transcript, pp. 1:22, 2:11, 3:18, 3:23, 4:6–8; CPD, 12 May 2009, p. 27; Age (Melb. ), 5 May 2009, p. 10. This biography was first published in The Biographical Dictionary of the Australian Senate, vol. 3, 1962-1983, University of New South Wales Press Ltd, Sydney, 2010, pp. 54-58.